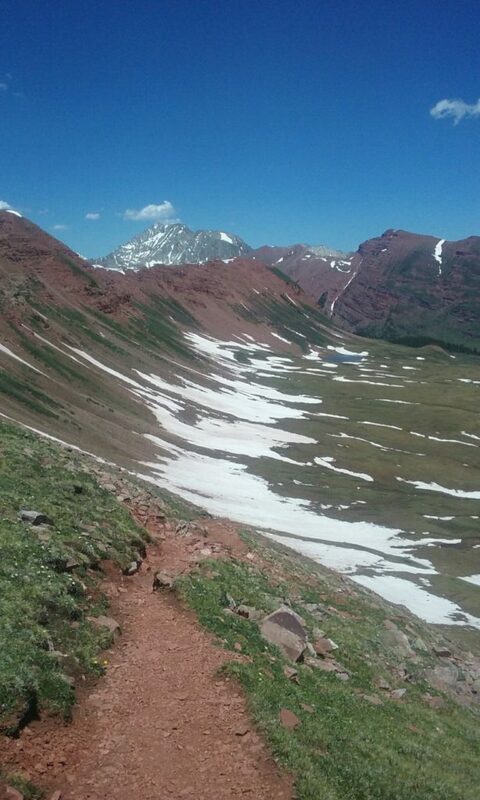 One of our runners was just on West Maroon Pass the other day. She said, “I checked out west maroon pass and frigid air yesterday. See photos. Fit and experienced person a go. 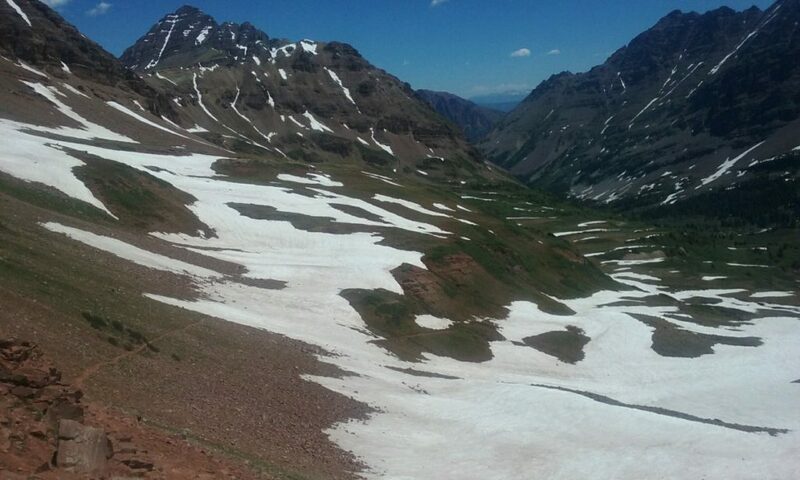 Otherwise I think it will be good by next weekend.” Schofield Pass still has snow in one section as is normal for another few weeks. So You can expect to add another 1.5 to 2miles to the total West Maroon Hike. Our first reservations of the season com up next week. So we’ll have more photos by then. West Maroon Pass looking down the Aspen side. Doesn’t look like snow on the steep slopes right off the pass. All the snow looks to be down lower in the depressions. That will be summer snow, so walking on top of it.